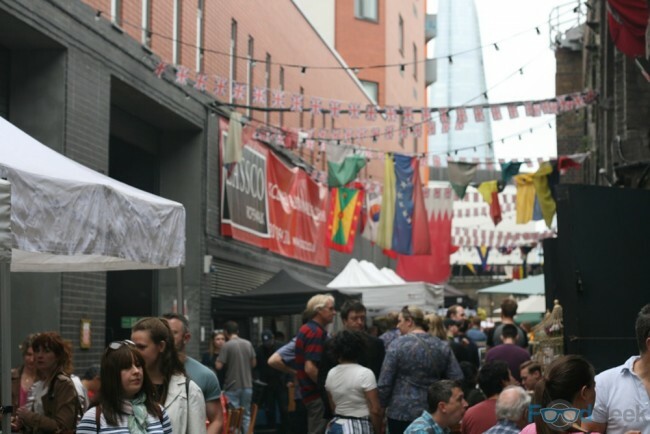 Maltby Street was already one of my favourite places in London; its lively Ropewalk food market features fantastic stalls, pop up bars and street food along with a great vibe and friendly atmosphere. 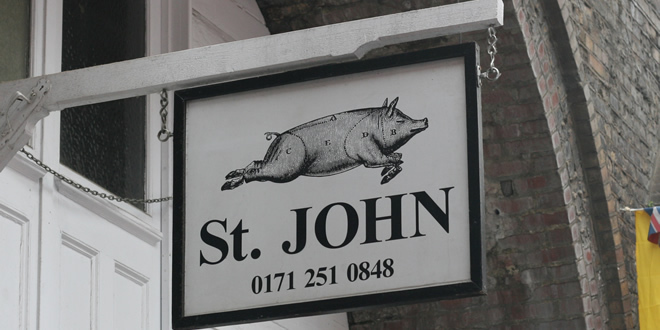 It’s even better now thanks to the addition of St. JOHN Maltby, a sit in space under a railway arch run by legendary Michelin starred chef Fergus Henderson. I’d heard they do some of the best bacon sandwiches around which was exactly what I needed in preparation for a day on the nearby ‘Bermondsey Beer Mile’. There was one problem though; I’d also heard that they’re served with ketchup. Ketchup? 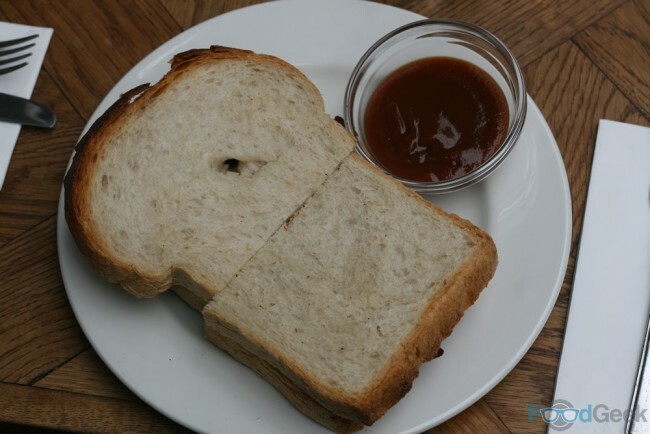 I mean, everybody knows bacon sandwiches should be with brown sauce! So being a good foodie I purchased a bottle of HP on the way and smuggled it into St. JOHN. We grabbed a table outside with a great view of The Shard and watched the bustling market whilst enjoying a decent coffee and waiting for our bacon. I already had high expectations but they increased further when I saw the bacon sandwich cost £6.30, pretty pricey even for London I thought. I needn’t have worried as it was worth every penny. It was everything good about a bacon sandwich, such a simple but beautifully satisfying thing when done as well as this. 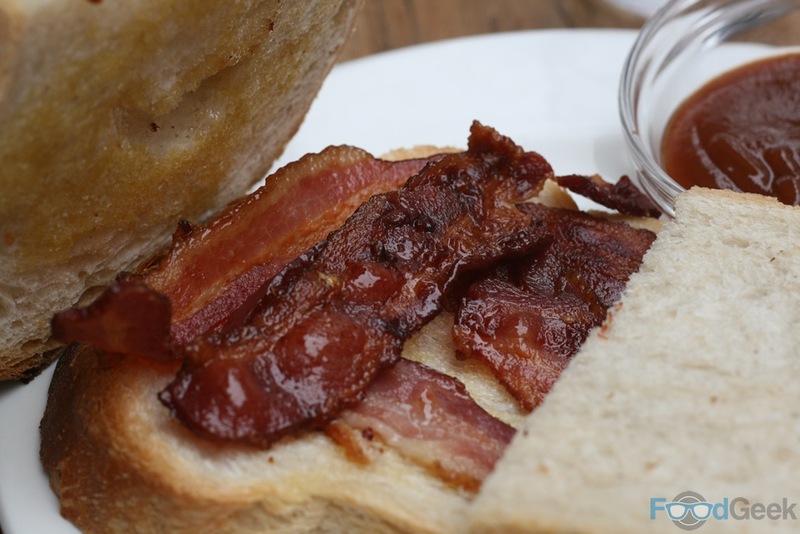 The bacon – from rare breed Gloucester Old Spot pigs – was supremely crisp, beautifully contrasted by the top quality, soft and fresh bread. Oh and the sauce! 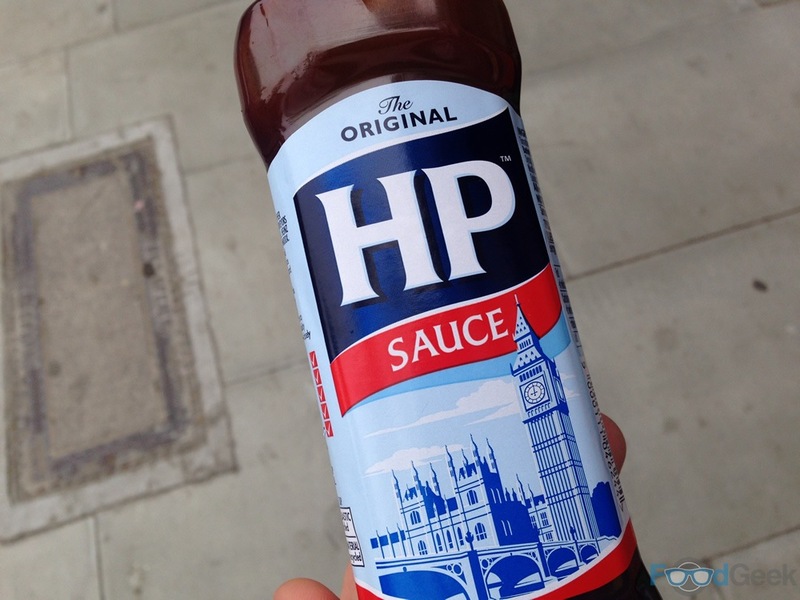 I’m not ashamed to say the brown sauce wasn’t even opened, as the ‘ketchup’ was absolutely fantastic. I should’ve known better really, of course they weren’t going to serve generic ketchup out of a bottle. In a way it proved me right though as the homemade ketchup tasted much more like brown sauce than regular ketchup, quite spicy and very tangy, just perfect with the bacon. 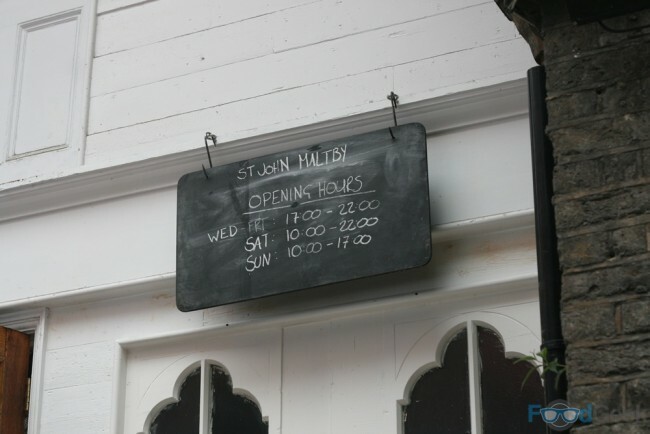 St. John’s doughnuts are the stuff of legend, so despite being pretty full after the hefty bacon sarnie we forced a couple down. 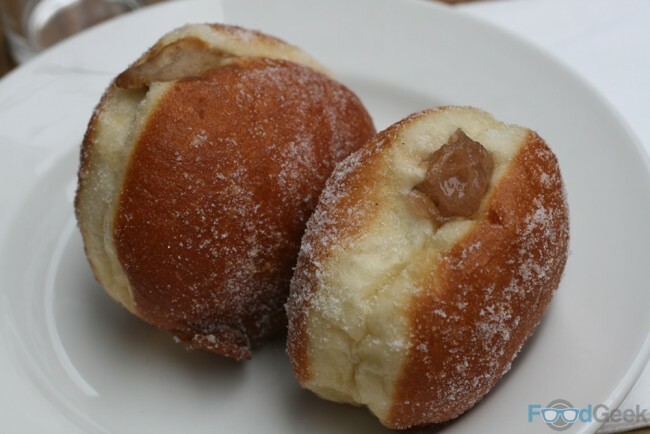 The pillowy soft sourdough balls come with a choice of fillings that varies daily. We went for one Ginger & Cinnamon, the other Rhubarb. 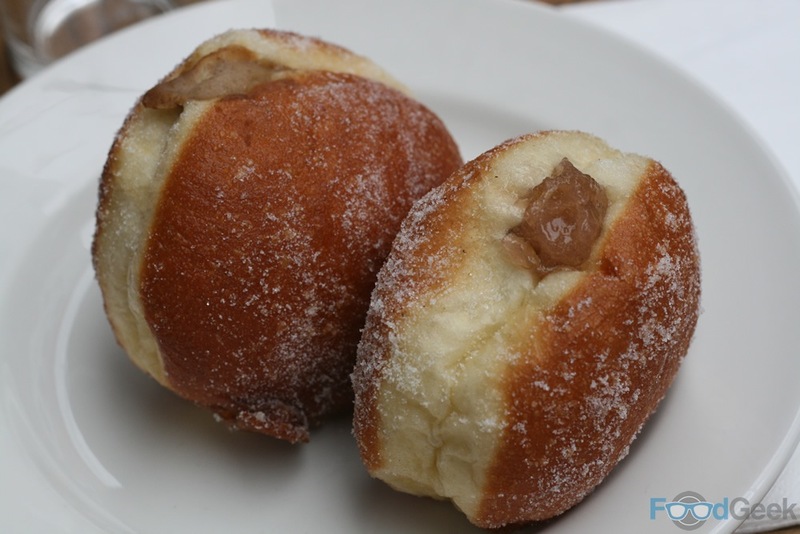 They’re very nice doughnuts but for me not quite as good as those from former St. John head baker and pastry chef Justin Gellatly’s new venture, Bread Ahead. 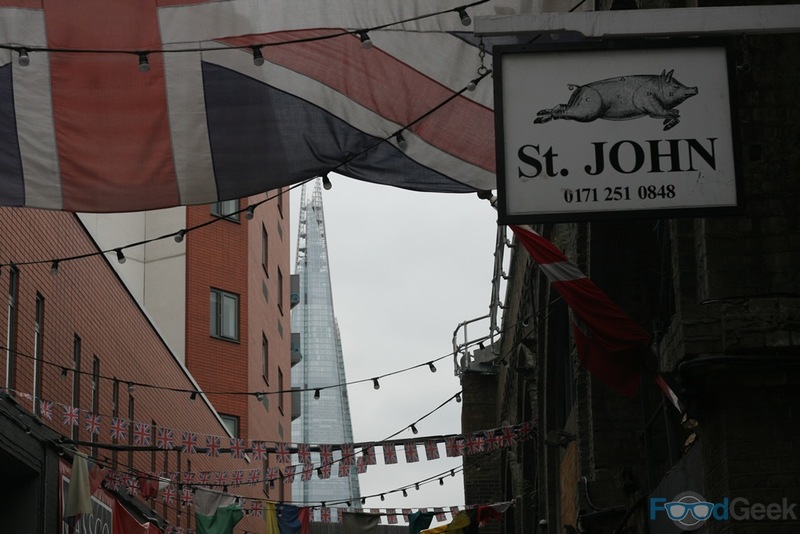 St. JOHN Maltby is a great place to sit and people watch, drink coffee and of course eat. I highly recommend the bacon sandwich but there were other interesting items on the menu too such as ‘Welsh Rarebit’ and ‘Anchovy Toast’ on the breakfast menu. Then from 12 the likes of ‘Devilled Kidneys on Toast’, ‘Salt Beef, Lentils & Mustard’ and ‘Eccles Cake with Lancashire Cheese’ for dessert. Despite being very busy inside service was pretty fast and efficient and for the quality of food it’s excellent value. All in all it’s a welcome addition to the already brilliant Maltby Street.